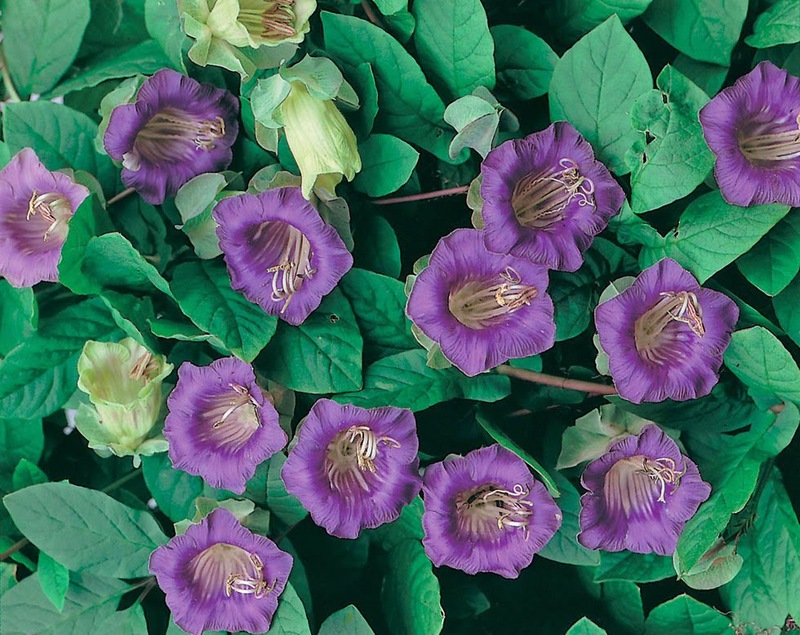 The 'Cup and Saucer' plant - Cobaea scandens, is a stunning half-hardy perennial climber. Native to tropical Mexico, is now available to buy at the 'Seeds of Eaden' seed shop. In northern Europe it can be grown as a perennial in a cool greenhouse or conservatory, but is usually grown outside as an annual on a south facing wall. It is a vigorous climber that is noted for its large purple, bell-shaped corolla which is embraced by a green saucer-like calix - hence its common name. 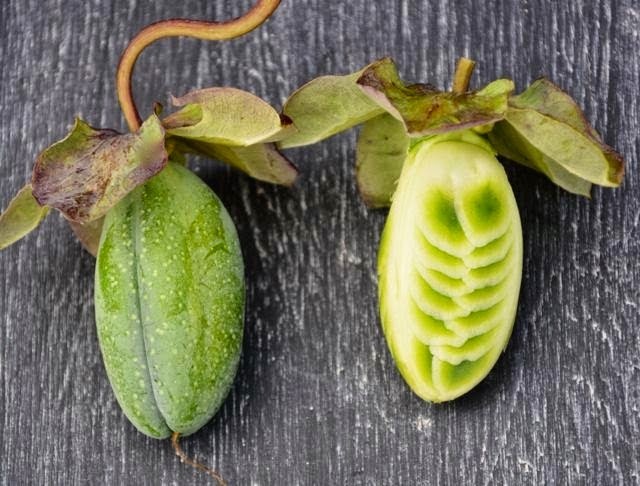 To make the most of the growing season Cobaea scandens seeds are sown in February or March. Before sowing soak the seed for 2 hours in lukewarm water before sowing. To maintain the temperature place the seeds and water inside a thermos flask. Using a modular seed tray, fill with a good quality peat-based compost and gently water in. Allow the excess water to drain off and then press one seed into the surface of the compost at a rate of one seed per module. Do not cover the seed as it requires the presence of light to help initiate germination. Place the tray inside a heated propagator at a temperature of between 18-24C and place on a warm bright windowsill, but out of direct sunlight during the warmest part of the day. Alternatively seal inside a clear polythene bag after sowing is helpful. You can expect germination to occur within 21-30 days. Once the root systems have established inside the module, carefully pop them out trying to disturb the root system as little as possible. Pot them on into 5 inch pots using a multi-purpose compost and grow on in cooler conditions. Keeping them well watered and once the threat of late frosts have passed they can be gradually acclimatise to outdoor conditions for 10-15 days before planting out into their final positions. after all risk of frost 60cm (24in) apart in a sheltered spot in sun on ordinary well drained soil. 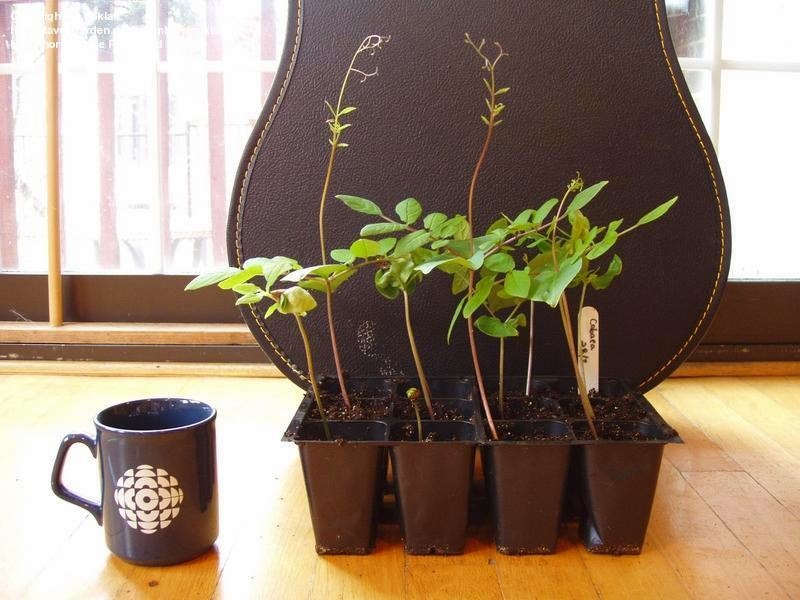 For summer flowering under glass, transplant into 20-23cm (8-9in) pots, and keep the atmosphere fairly humid. The 'Cup and Saucer' plant will do best in a sunny, sheltered position in ordinary well-drained soil. Avoid the temptation of adding fertilizer to the soil beforehand as this can reduce the number of blooms.